Bet you can't buy just one. 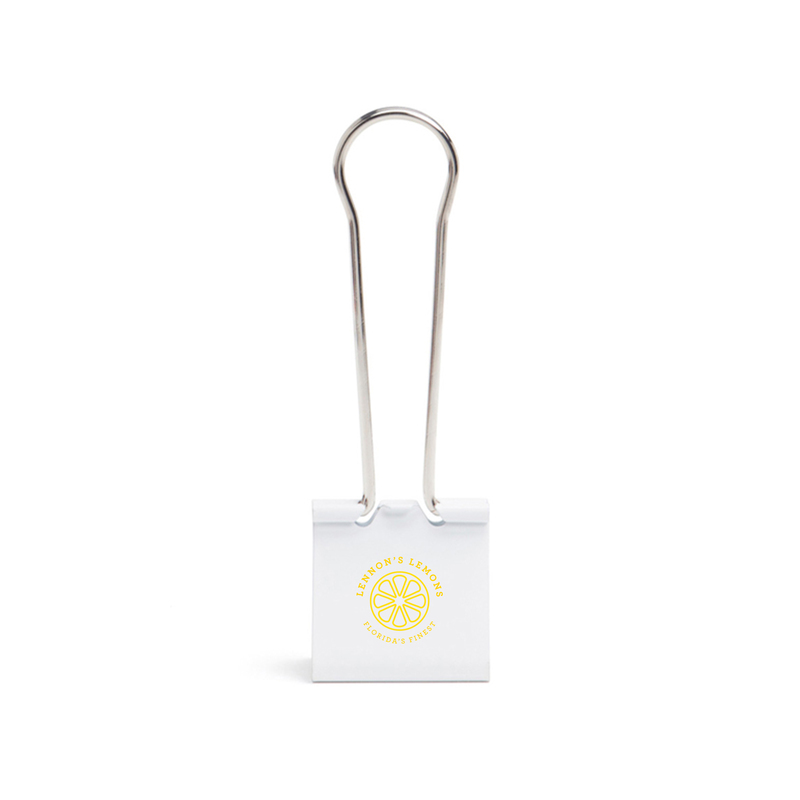 Our Custom XXL Binder Clip provides strength and support in a variety of situations. Whether it's hanging a a sweater on the side of your desk, holding up pictures of your trip to Colonial Williamsburg, or keeping the latest draft of your unfinished novel together, the sturdy grip makes sure your stuff is secure.